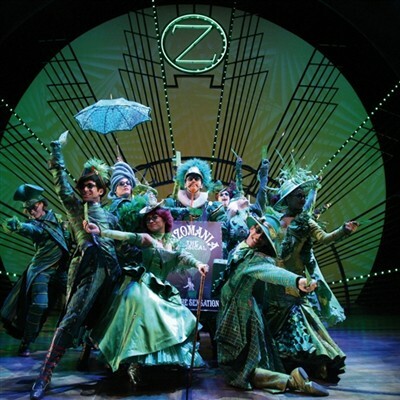 Experience the wonders of Wicked as it celebrates 10 years in the West End, the brilliantly clever Wizard of Oz-themed musical is now firmly established as a West End classic. Wicked tells the incredible untold story of an unlikely but profound friendship between two girls who first meet as sorcery students at Shiz University; the blonde and very popular Glinda and a misunderstood green girl named Elphaba. Their extraordinary adventures in Oz will ultimately see them fulfil their destines as Glinda The Good and the Wicked Witch of the West. Wicked is an unforgettable and multi award-winning musical that transports audiences to a stunning fantasy world of flying monkeys, levitating broomsticks, a smoke-breathing dragon and eye-popping sets, costumes and special effects, providing marvels beyond your imagination. With Wicked celebrating 10 SPELLBINDING years, there has never been a better time to discover the captivating story  featuring the show-stopping song Defying Gravity  that has made it the most popular show in the West End (Time Out London).